Pioneers of Education: Giovani Morgagni Jan 24, 2014 Anatomical Pathology is a medical discipline that is focussed on the diagnoses of disease based on the examination of organs, tissues and whole bodies in the fo..
Great Mistakes of Great Minds: The Four Humours! Feb 18, 2014 Great Mistakes of Great Minds: The Four Humours. Historians across the world like to look back fondly upon the ancient Greeks. Wise, cultured and learned, de..
Great Mistakes of Great Minds: The Pyrannical Peril of Phlogiston Apr 22, 2014 As every child knows, wood burns. Well unless it's damp. But even then, if the fire is hot enough it'll still eventually catch fire. Sooner or lat..
A Cure for Cancer? Feb 18, 2016 There was huge news in the medical world this week when a major new advance in the search for a cure for cancer has been discovered. Though the results ha..
Good Morning. I am wondering how the exam/test for this module is undertaken? Regards, Barry. The final exam is taken at a time and place convenient to you. You don't need to travel anywhere to take it. 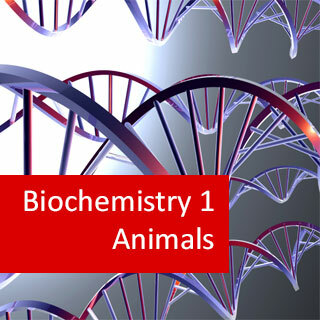 Biochemistry 1 - Animals (Pre-Medical program) course online. Learn about the biological and chemical basis of animal life". 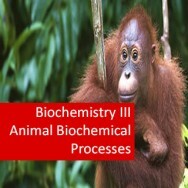 Biochemistry - Animals" is the knowledge basis for all human and animals health studies. Learn with highly qualified and experienced tutors the basis of life. 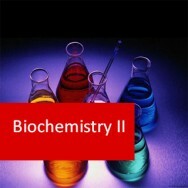 This course is similar to "Biochemistry - Plants" ; except for the fact that it deals with animals. Some secondary school chemistry will be helpful though it is not essential. 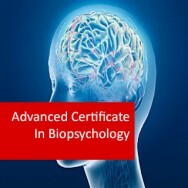 This course is included as a module in the Advanced Diploma in Medical Science (Pre-Medical), which has been endorsed by TQUK - Training Qualifications UK, an Ofqual Approved Awarding Organisation. This course has been endorsed by TQUK. Endorsement of our courses by TQUK sets them apart from other vocational learning programmes and is an achievement to be proud of. It further demonstrates that we are an efficient academy with excellent courses and tutorial support. It also means that potential and existing students, employers and universities can be sure of the true value of the learning we provide. Identify characteristics of common chemical compounds important in animal and human biochemistry. Explain the characteristics of major biochemical groups, including carbohydrates, lipids, and proteins. Explain the characteristics of chemicals which control biological processes in animals and humans, including enzymes and hormones. Explain the role of nucleic acids in the biology of animals and humans. Explain the role of thermo-regulation in animals and humans. Explain the role of carbohydrate metabolism in animals and humans. Identify the characteristics of acidity and alkalinity in relation to animals and humans. 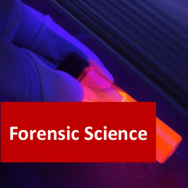 Develop simple chemical analysis skills relevant to testing animals. 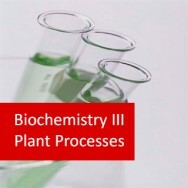 Identify applications and uses for biochemical processes and products. Explain two commercial applications for lipids in the learners chosen industry. Student Testimonials - see what they think! Course Duration and Deadlines 100 hours only. Course hours given are a guide only. Work at your own pace with no assignment deadlines or completion date. You are in control! Recognition of Your Course By Universities Previous students have used their qualification to get into university. However each one will have its own entrance criteria and acceptance may also depend on your other qualifications and experience. N.B. The NHS uses this course to prepare students for their university courses.